When it comes to the shining Class A surfaced beacon for any number of industries to follow in adopting reusable packaging, that beacon is automotive. 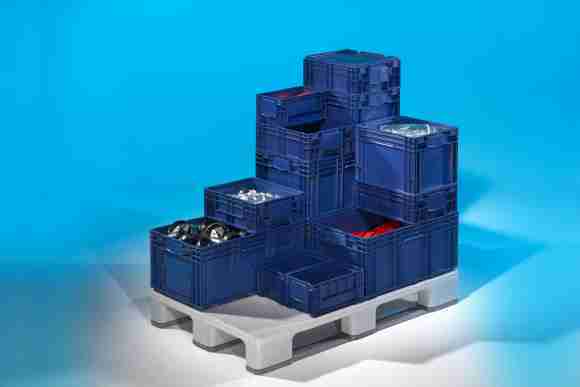 Returnable packaging and pallet systems have made a profound impact on the automotive industry over the decades, and the successes of that sector have served as a sparkling best practice in a host of non-automotive applications coming to embrace the use of reusables. 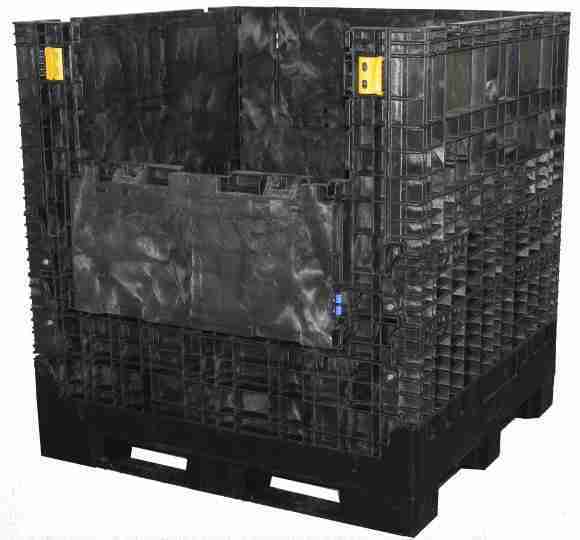 Initially introduced with an aim of eliminating mountains of scrap pallet and packaging waste, reusables became a key component of automotive’s efforts to embrace lean manufacturing, becoming an enabler for better ergonomics and productivity, while facilitating automation, better inventory control and improved quality. And did I mention improved transportation efficiencies? The automotive industry was initially, and continues to be a good match for reusables. It exhibited many of the ingredients favorable for the deployment of returnable packaging systems, such as short delivery distances between component or subassembly supplier and assembly plant, as well as regular, predictable delivery schedules and dedicated transportation providers serving the supply chain. As the automotive industry and its supply base become increasingly global, however, the challenge of returning containers becomes greater in such cases, leading automotive decision makers to consider the benefits of 3rd party pooling or reverting to expendable packaging, sometimes combining the repacking of expendables into returnable containers before induction into the assembly plant. 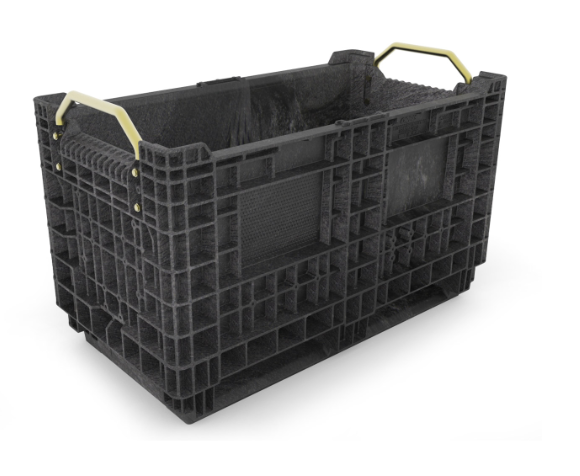 Reusables commonly used in automotive include handheld and bulk containers, racks, pallets and lids, as well as reusable dunnage or internal packaging designed to facilitate part protection. 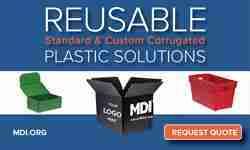 Automotive comprises both standard containers and dunnage sets as well as custom packaging. Due to the great range of part sizes, finish and geometries, custom sizing is often a requirement. The use of returnable packaging dates back to as early as 1930 at Ford Motor Company’s Rouge Returnable Container return department. Parts were delivered in crates sized so that the wood could be reused to make running boards and bumpers. 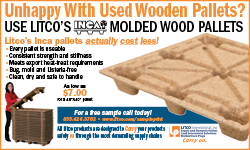 In the 1960s and 1970s, reusable plastic bulk bins and pallets were gaining acceptance. By 1985, many companies were regularly reusing plastic containers and pallets (Chism 2010). In ensuing years, reusable packaging began to dominate, with many plants refusing to accept expendable packaging into facilities. For small parts, the use of a straight wall tote, teamed up with a pallet system, is a popular approach, according to Scott Krebs, Marketing Manager – Industrial at ORBIS Corporation. 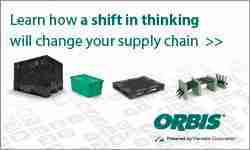 ORBIS is the largest supplier of automotive reusable packaging in North America. As the name might suggest, handheld totes can be easily picked up by a worker, providing a great ergonomic solution. The availability of automotive components in handheld totes at lineside workstations can help provide better access and reduce their travel time. Handheld containers can be combined with dunnage as necessary to protect the finish of Class A parts, and sizes can be adapted to meet the needs of particular part sizing. Normally these are injection molded containers, although reusable corrugated plastic containers are also used for custom applications. A handheld container system may also involve the use of a top lid and seat belt system. Typically these sturdy unit load systems that can be double stacked in transportation. The commonly accepted pallet or container footprint for the North American automotive industry is 45×48-inch, with 30×32-inch also used. As to whether one would choose to use a hand held container or a bulk bin, Krebs explains that there are a number of variables involved, such as the characteristics of the parts in terms of size, geometry and fragility, as well as their velocity of demand. For example, an assembly plant may require that a container hold enough parts to cover an hour of production time, thus influencing the selection of the container size. Other considerations include safety and transportation optimization. Ultimately, in North America at least, OEMs (original equipment manufacturers) have had varying perspectives as to whether they prefer handheld containers or bulk boxes, and this had influenced selection. Collapsible bulk containers are very popular in the automotive industry. Usually these are very strong structural foam units, conforming to the primary 45×48 and the secondary 30×32 industry footprints, although longer containers are used when required for specific parts such as exhaust systems. Bulk containers are advantageous in terms of being stackable when full to save space in transit or storage, as well as in folding when empty to minimize space requirements for storage and return. Parts can be loaded in bulk inside the container, or protected by dividers or other internal dunnage. Ease of access to parts inside the container is another important consideration in bulk container design. This can be facilitated by specific design features to meet this need. For lighter loads, especially those traveling longer distances, sleeve packs are an increasingly popular choice for bulk containers. (For a more detailed discussion of sleeve packs, click here.) One notable example is the CHEP IcoQube, shown at this link. The combination of a pallet, top lid and foldable vertical sleeve provides a cost effective system that offers an outstanding return ratio of empties, given the capacity of the sleeves to flatten, and the nestable pallets and lids to also achieve laudable return ratios. These as well can be designed with specific features to provide ease of access to parts and other valuable considerations. Formed of tubular steel, reusable shipping racks are a great solution for parts of a more challenging geometry or greater weight, and can be combined as needed with kits to streamline the assembly process. Examples of applications for shipping racks include drivetrain parts, bumpers, window glass, door panels, as well as dashboard and instrument panel. As with other solutions, racks can be combined with dunnage to ensure protection of Class A parts from abrasion. The increasingly global automotive supply chain has increased the cost of empty packaging return. Longer supply lines have stimulated new interest in alternative reusable packaging solutions such as pooling, as well as the use of expendable packaging, although the use of disposable packaging results in solid waste generation, repacking labor and other potential inefficiencies – giving industry pause to recall why it converted to reusable packaging in the first place. This article benefited greatly from my conversation with Scott Krebbs at ORBIS, as well as comparing notes with the Returnable Packaging Blog. Images are courtesy of ORBIS, Buckhorn and Goplasticpallets.com. This article originally appeared August 31, 2015.